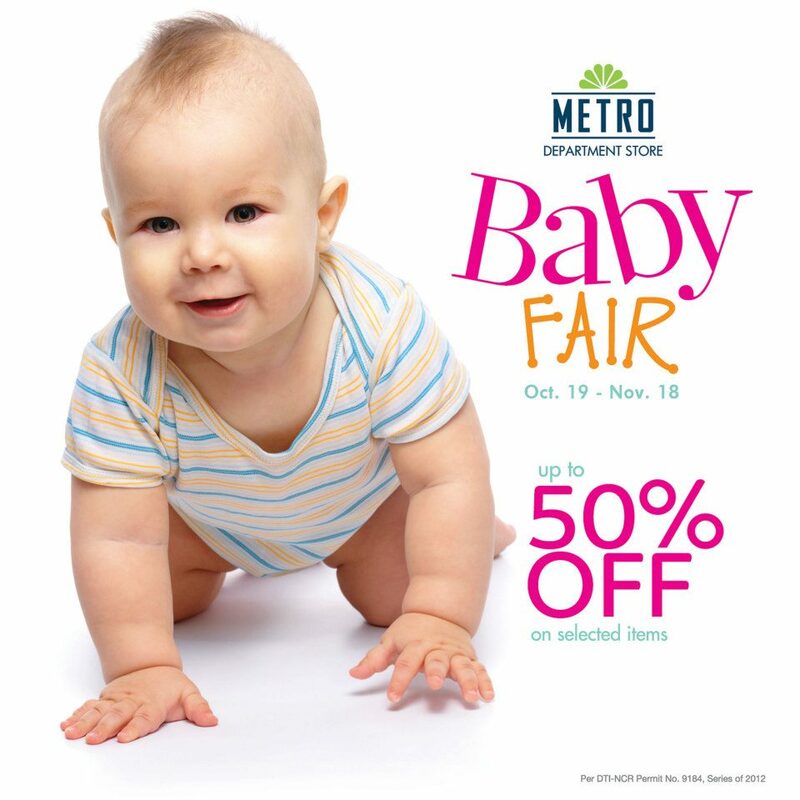 Check out Metro Stores Baby Fair happening until November 18, 2016. 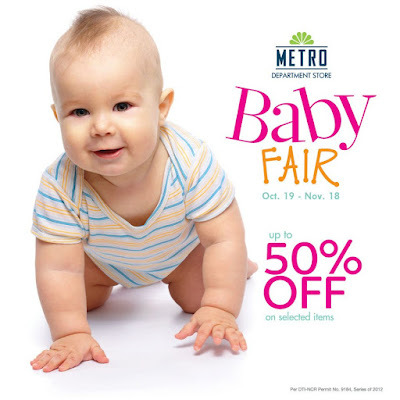 Get up to 50% off on selected baby items in select Metro Department Stores. Head over to your favorite Metro Department Store in Colon, Mandaue, Ayala Center Cebu, Legazpi, Lucena, Market! Market!, Angeles, Toledo, Alabang Town Center, Maasin, and Naga.